January is for Jimmy Whispers. When I was younger I'd snap up the day-to-day calendars of Gary Larson's The Far Side as soon as they went on sale; these days I can never seem remember to buy a calendar at all. But I'm no longer without one for 2014, thanks to David Beltran, who produces under the name Starfoxxx and cofounded the local collective, label, and onetime DIY space FeelTrip—he's creating a free monthly calendar featuring his favorite local bands, which he'll be drawing and uploading to Tumblr as the year progresses. Right now there's only a page for January, which features lo-fi pop musician Jimmy Whispers, and Beltran did a great job of capturing the "Summer in Pain" mastermind. Beltran says he was inspired to make the calendar so he could reexamine creating visual art for himself, and he found it by doing something many youngsters who love music do often—draw pictures of bands they love. "Also I wanted to do the calendar because I like the idea that it's a functional piece, and after the year is done its value is kind of reduced to zero," he says. Beltran says the next few months could include drawings of Twin Peaks, Sister Crystals, Heavy Times, and MTVGhosts, but he's "still figuring it out." 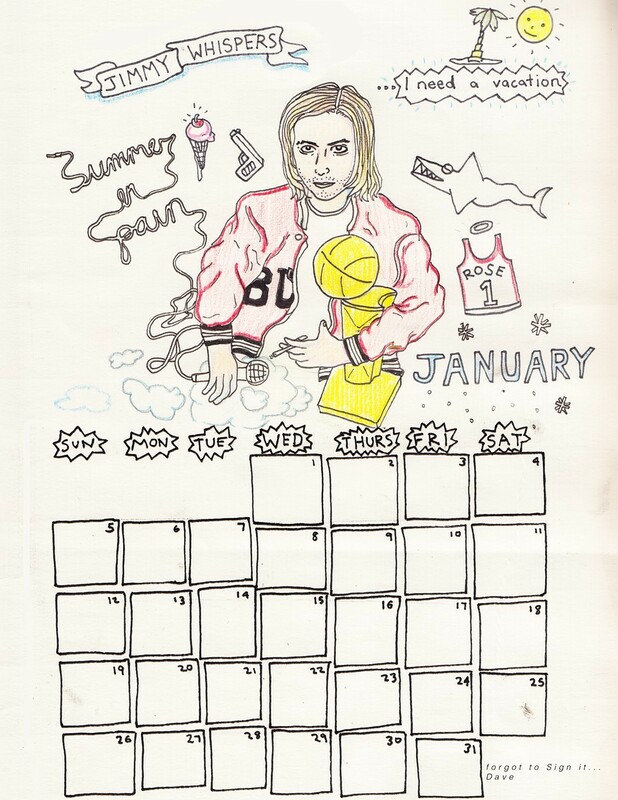 For now download and print the January page from Beltran's Tumblr, and be sure to catch him at the Empty Bottle on Sun 1/19 with the Range, Supreme Cuts, and Soleman.